Who are today’s standout black leaders, innovators and culture shapers? Who are the most influential African Americans 45 and under? To answer these tough questions, The Root looked back at the year’s most significant moments and themes and asked, “Who made this happen?” As we have each year since 2009, we scrutinized the more than 500 nominees submitted by our readers, measuring how many people their work reached and rating the substance of their contributions. The result: The Root 100 2014 ranking of the most influential African Americans. Some of our 100 honorees had widely recognized achievements in their fields, while others worked doggedly behind the scenes. What connects them is that they not only had standout years but also showed promise for shaping the future. 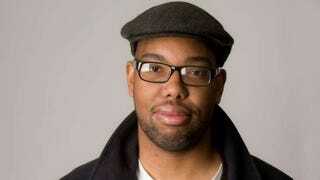 Our top-ranked honoree is Ta-Nehisi Coates. His cover story for The Atlantic, “The Case for Reparations,” single-handedly reinvigorated the debate surrounding compensation for what he called the “multicentury plunder of black people in America.” Coates laid out a bulletproof argument that “until we reckon with our compounding moral debts, America will never be whole.” America listened—or, more accurately, read: The piece set a single-day record for traffic to Atlantic.com and sold out on newsstands, delivering a resounding message that the black experience is not to be ignored. Coates’ reporting here, combined with the ongoing analysis he offered at his blog, reminded us never to settle for anything less than a clear-eyed, fact-based understanding of the forces that shape the lives of African Americans. Ranked No. 2 is writer, producer and showrunner extraordinaire Shonda Rhimes. It’s not just that this one-of-a-kind creative artist and businesswoman is going to dominate Thursday nights with Scandal and the rest of her three-hour prime-time block. It’s that she has permanently changed what television—both on the screen and behind the scenes—looks like for black women. Next is Sen. Cory Booker, who has combined political insight and an authentic connection with the New Jersey residents he represents (to say nothing of his legendary social media savvy) to make the most of his historic role. Fourth on the list is Beyoncé Knowles-Carter, who pulled off a game-changing unannounced album release, a tour slated to gross $120 million, a public endorsement of feminism and staggering charitably donations while keeping some of the most loyal and inspired fans around wanting more. The top five is rounded out by Orange Is the New Black’s Laverne Cox. As much a revolutionary as she is a gifted actress, this Emmy nominee is a brave and tireless advocate for transgender women of color. This year, claiming a significant number of spots on the list were honorees who dedicated themselves to publicly defending the value of black life. After Americans like Jordan Davis, Renisha McBride and Michael Brown lost their lives in stories fraught with racial stereotypes and representative of larger racial disparities, these people sprung to action. They demanded justice and societal change through the law (Benjamin Crump) and activism (Phillip Agnew) and by using social media to shape public opinion and create real-life movements (Feminista Jones). Relatedly, a strong contingent of this year’s list (Roxane Gay, Wanjuki Wagatwe, Jamilah Lemieux and Brittney Cooper) used their platforms—from the ivory tower to Ebony.com—to insist that issues affecting black women specifically not be lost in the public discourse about race. We calculated traditional and social media reach for every nominee, and unsurprisingly, numerous celebrities rank high on The Root 100 for this criterion. Thus, many culture-shaping stars made the cut this year. But most of them, like LeBron James, Jay Z and Queen Latifah, have done more than stay in the spotlight—they’ve parlayed their fame into fortune through smart business ventures. Behind the scenes in Hollywood, honorees like Justin Simien, Lena Waithe, Sasheer Zamata, Mara Brock Akil and, of course, Rhimes exerted a subtle but important influence on the ways in which we imagine ourselves by presenting black characters with a complexity and messiness that was heretofore taboo. Substance scores helped honorees make the list who may have had lower public profiles but whose innovations and leadership influence our lives in other vital ways. This measure gave a boost to others who did admirable work in areas like business (Tristan Walker), the faith community (Michael Walrond Jr.) and the nonprofit sector (Byron Garrett). And a 101st spot remains open for a new addition to The Root 100 this year: the winner of the People’s Choice Award. The vast majority of this year’s honorees embrace a spirit of activism and a hunger for change. Whether they used their art (Theaster Gates), their legislative power (Rep. Hakeem Jeffries), their voice (Melissa Harris-Perry), their talent (Misty Copeland) or a tool as unconventional as the “Veggie Bus” (Tanya Fields), members of The Root 100 2014 have fought the good fight in ways as diverse as the black experience itself.